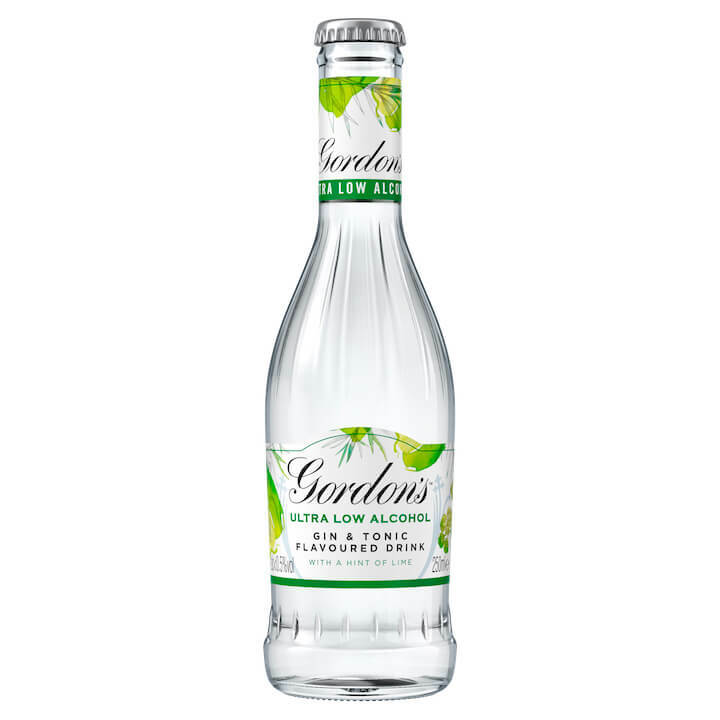 Perfectly blended with natural fruit extract to create the unmistakable taste of a Gordon's G&T with less than 0.5% alcohol and only 68kcal per serve. 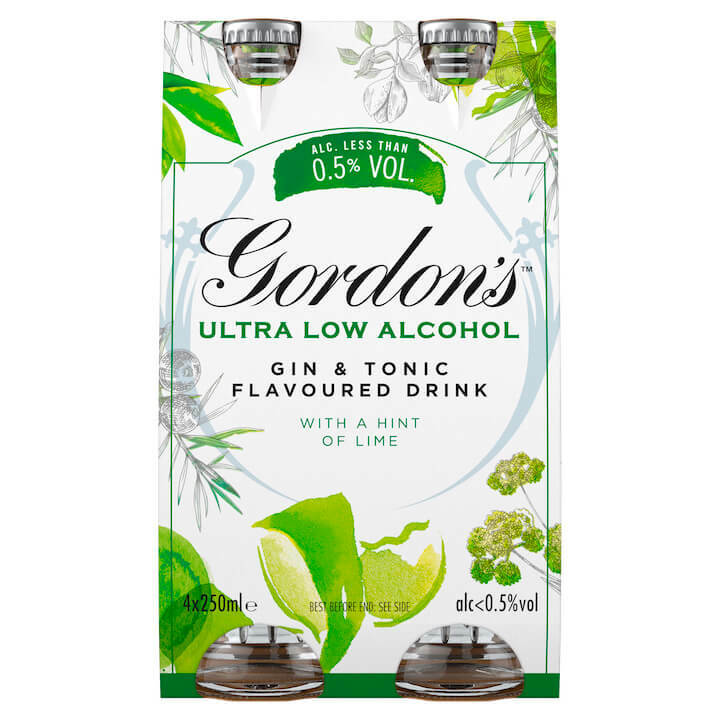 How to enjoy Gordon's Ultra Low Alcohol Gin & Tonic? 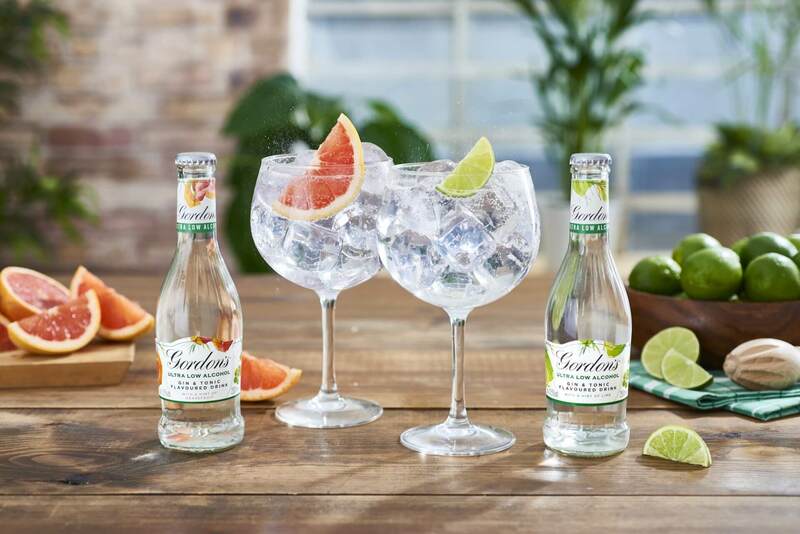 There are those occasions when you don't want an alcoholic drink and for those moments, we've created NEW Gordon's Ultra-Low Alcohol Gin & Tonic drinks with a hint of grapefruit and a hint of lime. 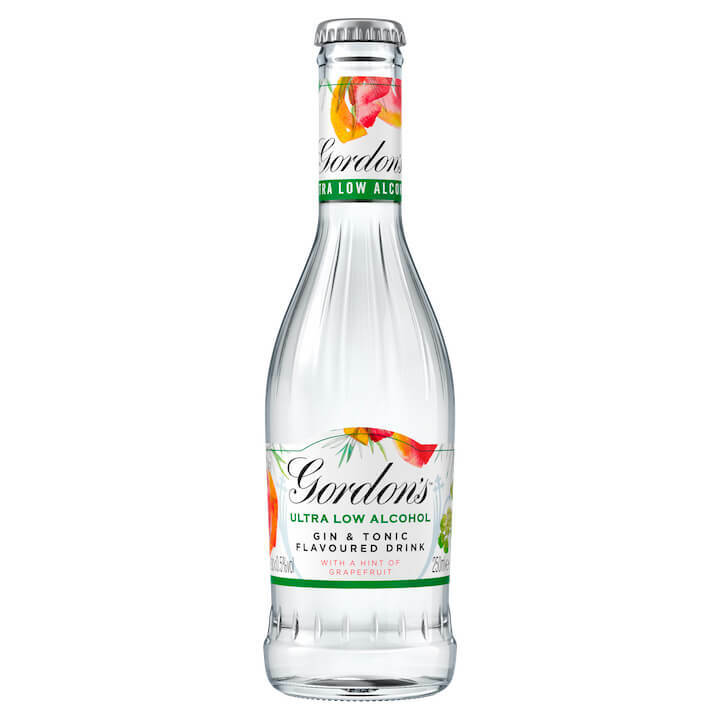 Made using Gordon's London Dry Gin distillate, and perfectly mixed with botanicals and natural fruit extract to create a drink that is not only delicious but with the unmistakable taste of Gordon's and with less than 0.5% of alcohol and only 68kcal per serve. Method: Pour the bottle into a coppa glass full of ice and garnish with a wedge of grapefruit. 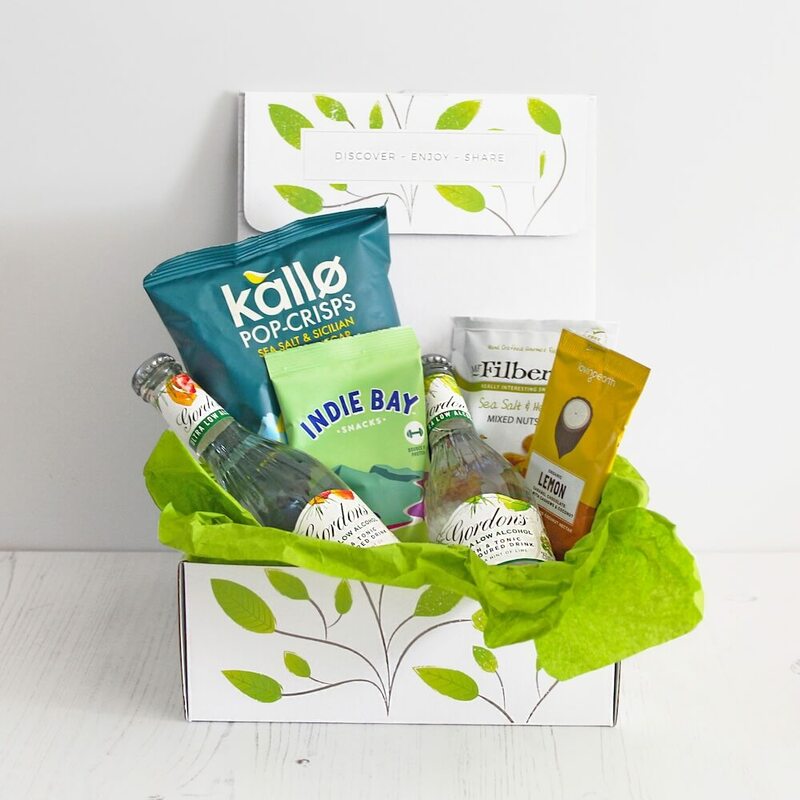 Method: Pour the bottle into a coppa glass full of ice and garnish with a wedge of lime.